Truth is One, not many. The Western leaders propelled by the ambiguous animosity of ‘the clash of civilizations’ are using sectarian violence as the engine of sophisticated warfare to destroy the Arab Middle East. Syria is destroyed, Iraq dismantled, Libya gone, Yemen ruptured and according to Robert Fisk, House of Saud comes next. The well-orchestrated plan corresponds to the psychological momentum evolved after the fake WMD aggression against Iraq. The whole of the Arab world is a victim of its own fallacious thinking. To the US-West European-led war on terror embodies violence against the Arab masses as means to achieving the end of imperial supremacy over all of the Arab heartland. Consequently, the Arab world is fast becoming a landscape of extended graveyards – Syria, Iraq, Libya, Yemen, Egypt, North Africa and the spill-over impacts of planned destabilization of Saudi Arabia and the Arab Gulf States. Lacking a solid institutionalized-based of critical thinking and intellectual foresight, the Arab leaders live in darkness, not knowing the strategic direction to find rational solutions of an impending catastrophic future in waiting. The whole Arab political landscape portrays a missing sense of reality and futuristic impulse for change and direction to move. Some call it shuttle diplomacy visiting Moscow and Washington to counterbalance the inherent frustration outpouring of ignorance and indecisive mindset. Nobody thinks of a remedy, the crux of the problem – Western supported authoritarianism and to replace it with a people-oriented new vision for a change of the governance across the Arabian Peninsula. Do the oil-producing leaders of transitory economic prosperity really care for the catastrophic present and what future will unleash on to them? Subsequent to the 9/11, the Arab world, in particular, has been the focus of Western atrocities. Many misfortunes more horrifying than the outbursts of the US-led bogus War on Terrorism continued to inflict pains, bloodbaths and destruction across the Arab world. Like the 1258 Halqu Khan’s Mongol ferocity of Baghdad and beyond, Arab leaders are not ashamed of their missing courage and leadership vision for political emancipation but are uncertain and overwhelming authoritarianism making no sense to a rational critical mind for a political change. They were never decolonized but remained faithful to the imperial loyalty in Western Europe. Have the Arab rulers solved any of the important problems confronting the Arab masses over more than half of a century? The raging fallacious foreign military interventions and sectarian bloodbaths in Syria, Iraq, Libya, Egypt and Yemen are not secluded developments but planned scheme of things to degenerate the Arab world. The embedded scheme is aimed at besieging and dehumanizing the futuristic young Arab generations and depriving them of time and opportunities to think intelligently and live peacefully as believers, proactive and rational people. In a warfare culture, people become a dead-ended statistic. The US-Russia combined wars have devastated the ancient civic and human infrastructures and pushed the Arab masses to the edge of a dark future beyond reasoning. The Earth is not a planet, but a living entity providing continuous nourishment for human life and existence and to all other living beings. Its governing laws are defined by its Creator. Dead things do not sustain life in this context but livings do make the difference. When individuals and nations start acting like wild beasts in complete disregard to the accepted norms of human values and ethical principles, surely, it impacts all and everything whether we acknowledge it or not. No humans can become God or act like God – a plain fact of life. American politics is increasingly showing perpetuated ignorance and willful arrogance in its global policies and practices. America, as it appears, is not heeding to warnings from God. When people and nations challenge the sanctity and limits of the Laws of God and violate all known norms and principles of human behaviour, they could well become an object of unthinkable natural calamities – hurricane, earthquakes and other disasters. The Talmud – Torah, Bible and Al-Qur’an are full of such revelations and warnings as reminders to those people who are open to listening and learning and care for accountability and human future. These are staunch warnings to change the thinking and behaviours or else we could face the ultimate consequences of demise as it happened to all self-claiming adventurous and powerful nations of the past. 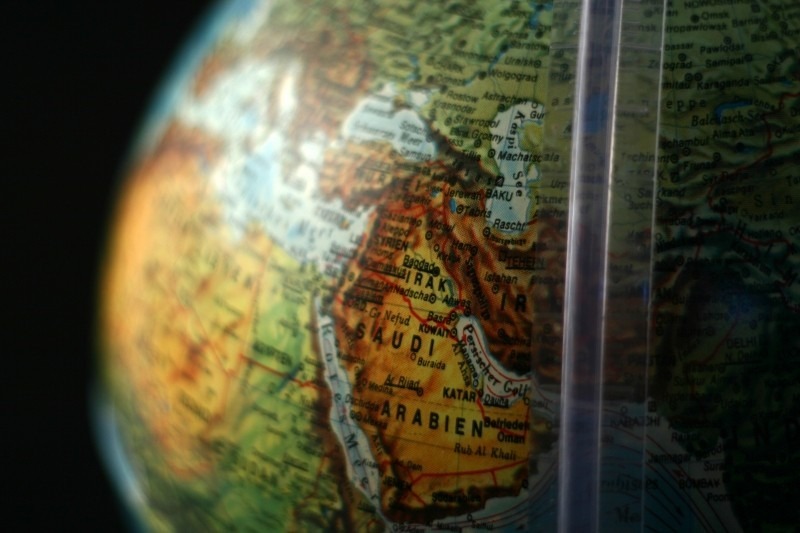 Could The Arab World Disappear under the Current Strategic Challenges? A long time ago, it was the Arab culture and flourishing civilization that spoke the language of the people and enlightened the Dark Ages of Europe with new ideas, knowledge, inventions, science and visions for change and human emancipation. Not anymore as Arab societies are caught in the delusional oil-generated economic prosperity and overburdened by modern ignorance and stupidity of the uneducated ruling elite; they are unable to see the light out of the box. Arab authoritarianism needs a strong jolt – a powerful political, intellectual and military challenge to avert the on-going military assaults against the very people on whose lifeline the nation-state was created. There are no Arab armies and no Arab leaders to challenge anybody on any front. Islamic history unfolds that the Arabs used to claim and enjoin moral and intellectual superiority in dealing with enemies and in situations of wars and conflicts. Now the oil pumped prosperity conspiracy (fitna) has transformed the Arab rulers into mindless entities entrapped in many conflicting time zones away from the masses. The compelling realities across the beleaguered Arab world demand new thinking, new proactive visionary leadership, men of new ideas and plans to deal with an unwarranted bombing of the civilian population, wholesale deaths and deliberate destruction of the Arab people and culture and millions of displaced refugees-nowhere to go. These are highly urgent and sensitive issues of the 21st-century politics, individual absolutism, human freedom and justice involved in cross-cultural conflicts. There are countless issues to be addressed across the socially, economically and political broken, dysfunctional and sometimes badly ruptured Arab societal landscape. The emerging crises clearly indicate the Western policies and practices aim to incapacitate the Arab intellectual hubs to think of a sustainable future. There seems to be no escape from the current volatile political crises when Arab leaders act as if they had no knowledge of what massive deaths and destruction meant to contemporary rational thinkers. Temptation and compulsion of evil embedded in psychological factors of sectarian rivalries operate in Iraq, Syria, Yemen, Libya and Egypt to perpetuate in-house fear, death and destruction. Balfour Declaration instigated historic injustice to the 90% indigenous Palestinian people when Israel was created. Shame to the perceptions and attitudes of the contemporary Arab rulers who lost the touch of historic reality and make secretive deals for their own survival. Palestine witnessed massive displacement of civilian population. After the unsettling Palestinian refugee situation, why are there several million more Arab refugees across the Middle East? Who will deal with the pressing problems of life and death facing the Arab masses? Who will deal with restoration of peace, normalcy and conflict management? Do these leaders have any moral and intellectual capacity to extend security and sense of protection to the helpless millions of displaced refugees? Once the Arabs were leaders in knowledge, creativity, science and human manifestation, progress and future-making – the Islamic civilization lasting for eight hundred years in Al-Andalusia, Spain. But when they replaced Islam – the power and core value of their advancements with petro-dollars transitory economic prosperity, they failed to think intelligently and fell in disgrace and lost what was gained over the centuries. They relied on Western mythologies of change and materialistic development which resulted in their self- geared anarchy, corruption, military defeats and disconnected authoritarianism. 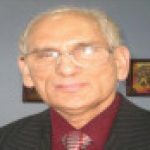 The Western strategists ran planned scams of economic prosperity to destroy the Arab culture with their own oil and their own money turning them redundant for the 21st-century world. Today, the authoritarian Arab leaders are so irrational and cruel that they reject all voices of reason for political change and emancipation of people-oriented system of governance only to bring more deaths and destruction to their societies.